Soap star to pop star had been an effective route to fame in the late 80s: Kylie and Jason turning their next-dooriness into a ready-made pop identity, the line between their characters and their pop personas as fuzzy as SAW could make it. 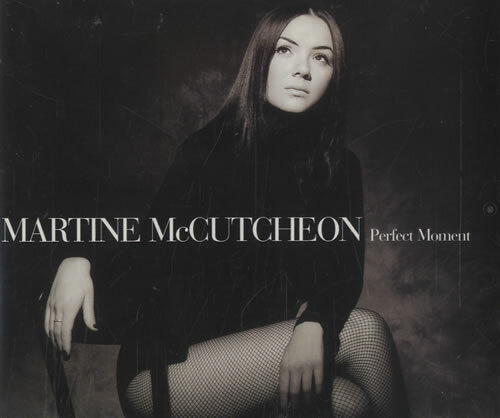 In the stage-school era of pop stardom you might expect that to be a template – but this is a rare sustained attempt, and it flared and faded quickly: Martine McCutcheon was dropped before her third album (songs from the shows) could come out. She is still famous, though – no recent achievements to match her stint on Eastenders or her Number One, but none of the small humiliations of diminishing celebrity, either: no Celebrity Big Brother stints, no grisly comebacks. And the reason, I think, was also key to her acting and pop success: in her heyday there was something essentially likeable about McCutcheon – to be cynical, there was no money, or audience, in seeing her embarrassed or made to look bad. Which is not at all true of many celebrities. Bad things happening to her were another matter, though. McCutcheon’s Eastenders character, Tiffany Mitchell, became sensationally popular as a sort of modern-day Little Nell – a kindly soul plot-abused even by the fearsome standards of Walford, E20, who died in a hit-and-run at New Years’ 1998. McCutcheon had quit the soap specifically to launch a pop career, so all her fans knew “Perfect Moment” was coming, and it’s hard not to feel that some of its huge success came from a wish to give Tiffany a cross-media happy ending. The single even starts with a gentle, gauzy arrangement that suggests some kind of celestial waiting room. Appropriately, on the first few listens I kept getting flashes of pop’s own past lives: a bit of Enya here, a little of the seasonal Spice ballads, and a big Spandau Ballet “True” vibe in the main hook. A firm romantic pedigree, then – and to be cynical again, I wonder if the theme of the song was a go at cornering the first-dance market at the start of wedding season. Whether that’s the case or not, I don’t like it much. Perhaps I’m too cold: this is unashamedly, open-heartedly sentimental as anything since “Mama”. But “Perfect Moment” feels lopsided, too – it uses its best hook right at the beginning and has to hang around for several minutes following it up. It rings the changes – that lurch into “paradise skies / in your eyes” is a genuine surprise – but the song feels more incoherent for it. Next to “Blame It On The Weatherman”, a ballad that keeps building and revealing ideas, it sounds a mess, a box of chocolates left out in the sun. McCutcheon herself is the record’s best asset – there are oversung bits, but she’s a source of needed gusto and the spine of a limpid song. But try all she might, “Perfect Moment” still sounds more like the end of someone’s story than the beginning. There’s one coming up in about 18 months of Popular time. One of my absolute favourites, as it happens. But I will respect the bunny here. @Ed, 31. Hmm, looking ahead I guess I can see Kylie, U2, and Atomic Kitten bunnies that might fit the bill – at any rate all are exciting records that are going to be very nice to revisit on Popular. There is something likeable about Martine McCutcheon, even her name seems like a combination of glammy and down-to-earth. I suppose ‘Perfect Moment’ is well named not because it’s perfect, far from it, but it is just within the limit of a slight range and she does her best with it. As a song it’s preferable to ‘Every Loser Wins’, but really a moment was as long as it was going to last. #13 Poland was ROBBED that year! “To nie ja” is an amazing song! Gah! Anyway, back to this one: I remember that brief time at the turn of the millennium when I actually watched Eastenders (cringe), I remember being sad when Tiffany got run over, as Tom said she was very likable. I can’t remember thinking much of this song at the time, and I feel it’s dated now. It sounds like those twinkling American Disney ballads that dominated the Billboard charts in the early 90’s, not something typical of music at the end of the century. Bleh. Malfunctioning memory would have had this down as ’95 or ’96, and I’m shocked – quite shocked indeed – that it arrived after Britney’s bow. Yet, I remember Milan – does anyone else? Though that may only be because Smash Hits alerted us to them once Martine was on East Enders. This song… I dunno. It has the same ‘look at me, yes, I’m here, I survived’ faux bonhomie going for it as Diana Ross’s Reach Out And Touch. There’s a bit of Touch Me In The Morning on the guitar interjections, so this may not be a coincidence. The phrasing of “mo-ment”, though, is comically stage school (good Streisand call upthread); I loved ‘Tiff’ and at the time I wished quite hard that she’d made a better record, as her pop career was so heavily trailed. It turned out she was born to star in My Fair Lady, but for me there was a special pop place for her somewhere between As Long As He Needs Me and Kate Nash that she never found. This was the first of Martine’s five Top 10 hits. I’m Over You was terrific, eighteen months on, and would’ve been worth a Popular 7 had it gone one place higher. PM scapes a 4. Milan’s most famous TV appearance was in a show that only made it to our screens two years ago – Reeves and Mortimer’s pop show pilot Popadoodledandy, made in 1993 but not shown by Channel Four in 2012. They sing and then join Bob in booting Vic up the arse. If you watched a lot of kids TV around that time you’d know Milan, though, they used to turn up all over the place. I also remember them showing up in a video games magazine – Sega Power or something – taking part in a game-off, so their management were certainly getting them out there. There are loads of second rate pop groups of the late eighties and early nineties who never had big hits I recall from appearances in the Bitz section of Ver Hits and TV shows like Eggs’n’Baker and The Disney Club, like The Marines, Fresh and No Surrender. Re 37 (thinks: COMPILATION NEEDED). #37 I actually stumbled across said video games magazine when my parents were clearing out some old stuff from their attic a while back. It was a Gamesmaster magazine circa 1993 and they were pitted against the Utah Saints as to what the game was I can’t remember. What’s going on with that cover though? Was this single released so that Martine could finally afford some trousers? There’s quite a mix of styles in this – The chestnuts roasting style opening (also like I Try by Macy Gray from late 99), 80s-ish Different corner noises, the mid 90s celine like touches, all channeled into the back on her feet lass form Albert Square. Like some of the comments on here I’ll have to give the nod to I’m Over You . A gem.